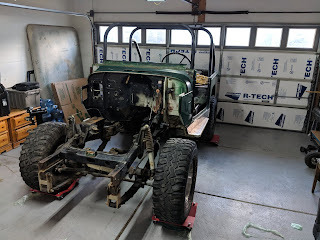 Bighorn Cruiser Build: New Digs! 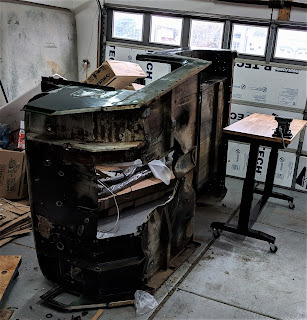 I had to pause my build to move... What a pain! But now my garage is semi-sorted and it is time to get back to work. The ceilings are LOW, so things will be interesting for sure. 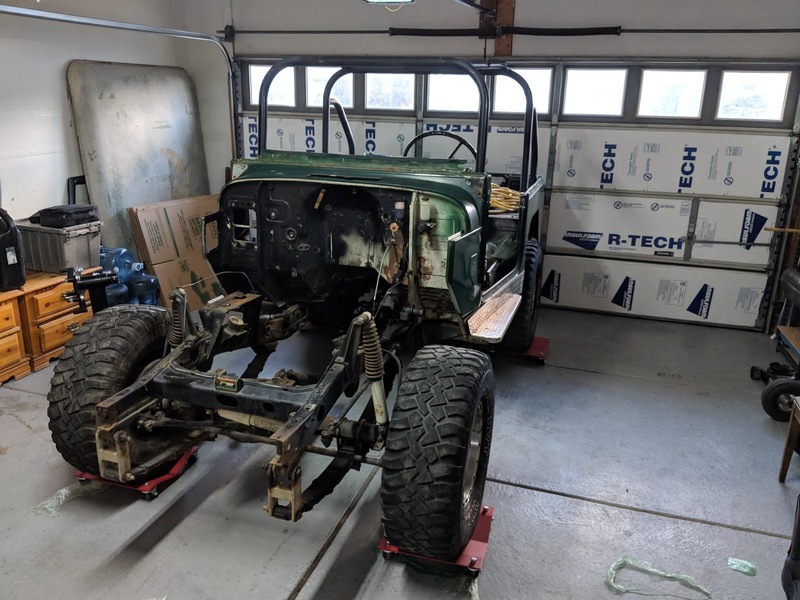 I am STILL waiting on my pistons, and need to do some work on my Beater Bronco to get ready for a club run at the end of the month, so nothing major will happen on the 40 for a bit but at least I can dabble now.